Ocho named #1 top trending tequila brand! Ocho is extremely proud to announce the results of Drinks International’s 2019 Brand Report: Ocho took #1 Top Trending, #2 Bestselling and Top 3 Margaritas. 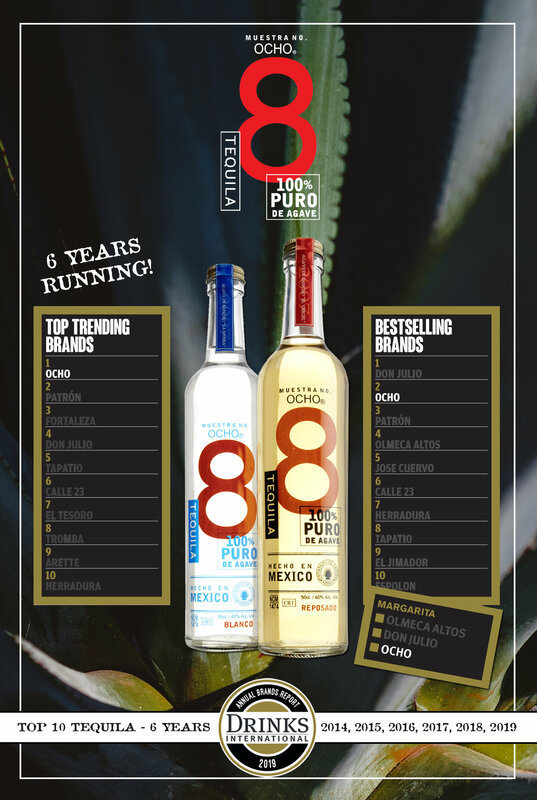 This is the 6th year running that Ocho has been in the Top 10 in the tequila category. Ocho featured in the Cayman Cookout event in the Cayman Islands. 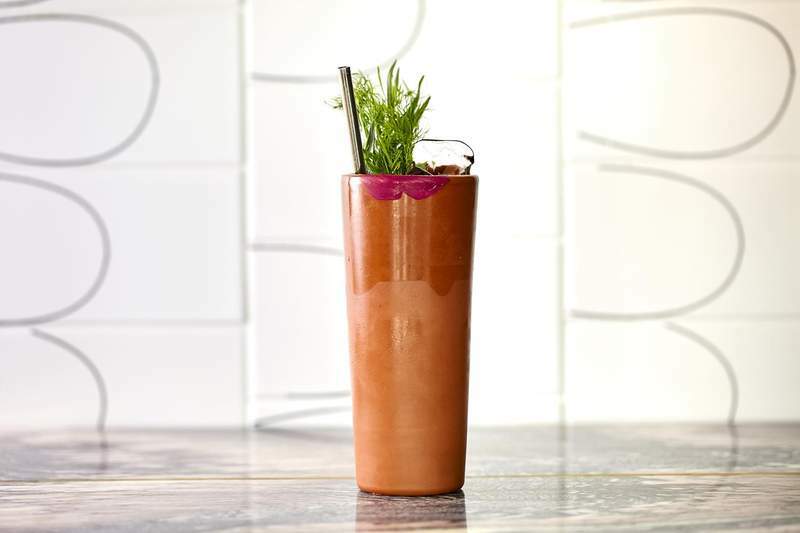 The event is hosted by acclaimed chef Eric Ripert and highlights food and drink, featuring José Andrés, Emeril Lagasse and other world renowned chefs. 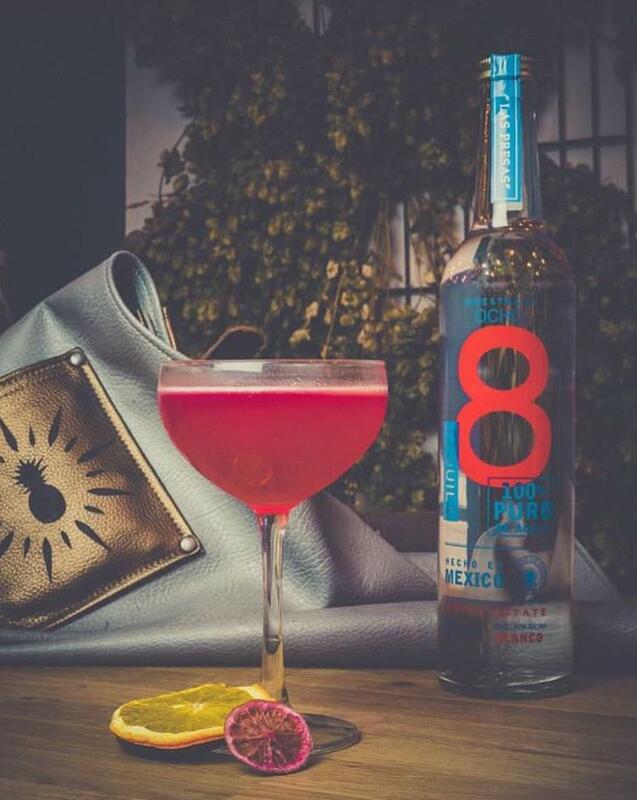 Ocho featured in London’s Evening Standard in their ‘Best Low Alcohol Cocktails in London‘ in the Art Yard Bar & Kitchen’s ‘This Morning with Holly’ cocktail. 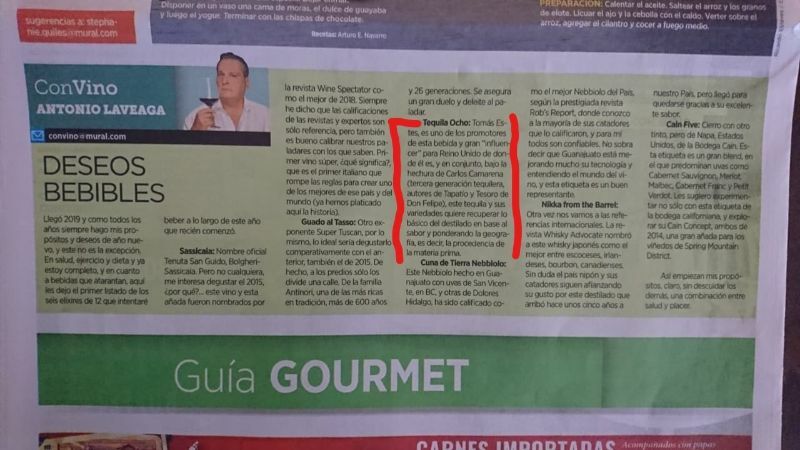 Ocho featured in the MURAL Newspaper in Guadalajara earlier this month as one of 12 ‘elixirs’ to drink in 2019. The Pappas family opened their first restaurant in 1897 and has since gone on to become one of the largest family owned and operated restaurant groups in the US. 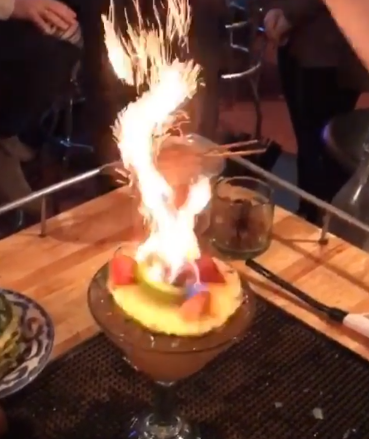 We especially enjoyed their new Smoke N’ Mirrors cocktail: Ocho Plata, mezcal, freshly squeezed lime juice, pineapple syrup & agave nectar, then flamed & dusted with cinnamon. Shake all ingredients vigorously with ice and fine strain into a cocktail coupe. Garnish with half a rim of smoked salt and a dehydrated beet-soaked lime wheel.